Midline diastema can be physiological, dentoalveolar, due to a missing tooth, due to peg lateral, midline supernumerary teeth, proclination of the upper labial segment, prominent frenum or due to a self-inflicted pathology by tongue piercing. The treatment involves observation and follow up, active orthodontic tooth movement, combined orthodontic and surgical approach, restorative treatment and Mulligan’s technique of overcorrection. 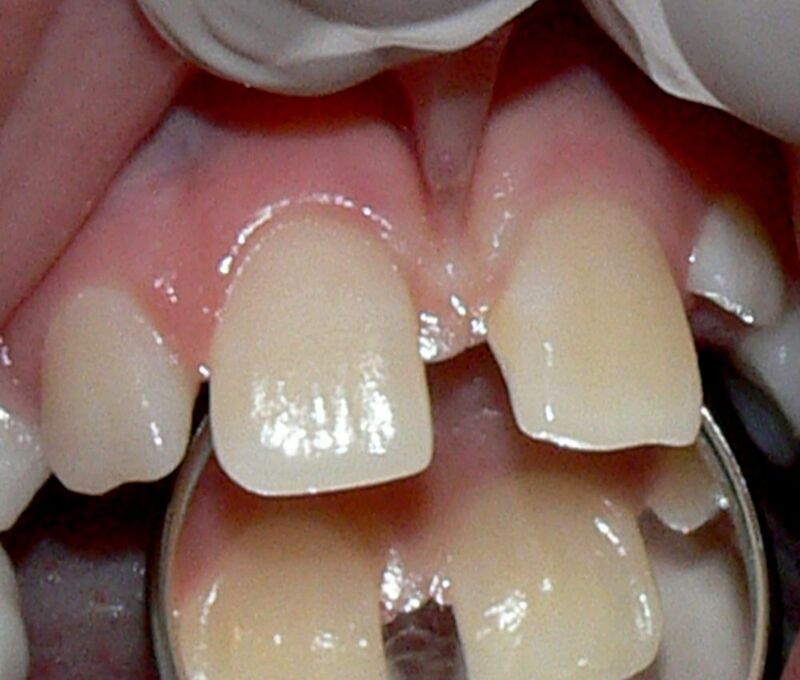 Introduction : A space between adjacent teeth is called a “diastema”. Midline diastemata (or diastemas) occur in approximately 98% of 6 year olds, 49% of 11 year olds and 7% of 12–18 year olds. In most children, the medial erupting path of the maxillary lateral incisors and maxillary canines, as described by Broadbent results in normal closure of this space. In some individuals however, the diastema does not close spontaneously. The continuing presence of a diastema between the maxillary central incisors in adults often is considered an esthetic or malocclusion problem.